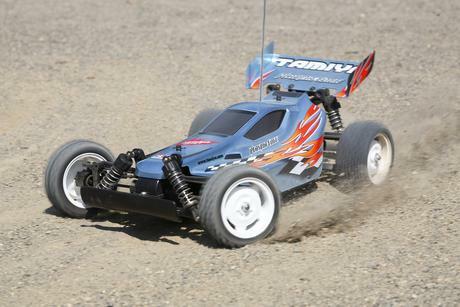 This radio control assembly kit depicts the Plasma Edge off-road buggy. The body sits on top of Tamiya’s popular and beginner friendly DF-02 chassis, which is ideal for R/C fans who are looking for a fun, easy-to-control machine to get started in the hobby. 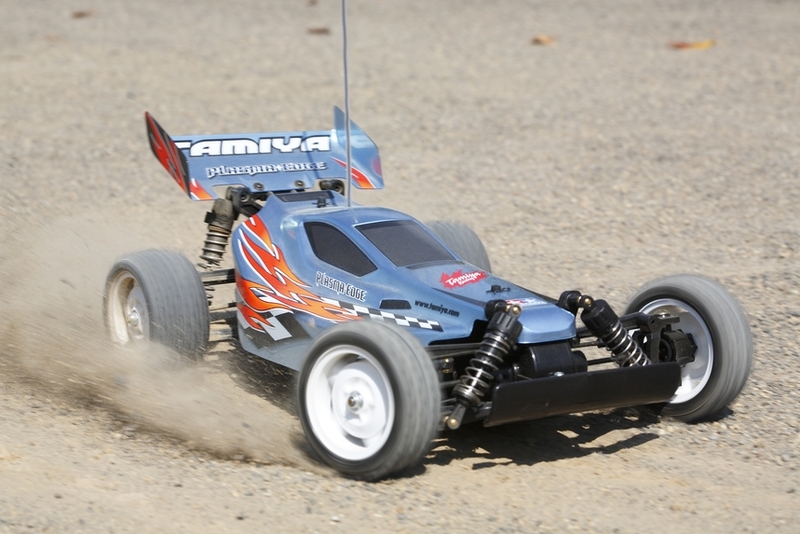 The DF-02 chassis is a shaft-driven 4WD chassis featuring a longitudinally mounted motor and battery. 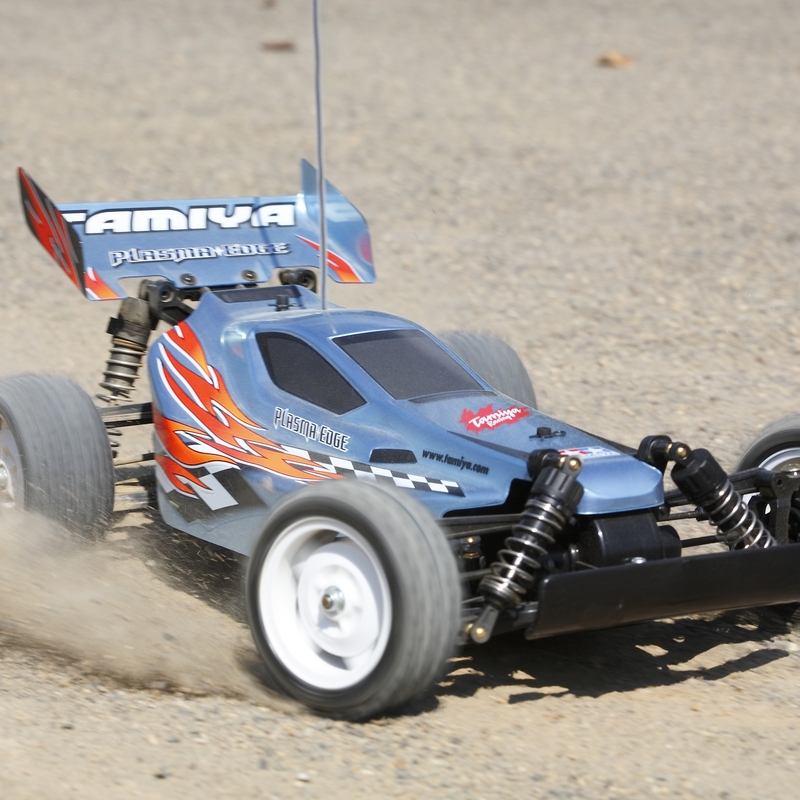 Featuring an overall lower center of gravity, the DF-02 displays superior stability and handling. 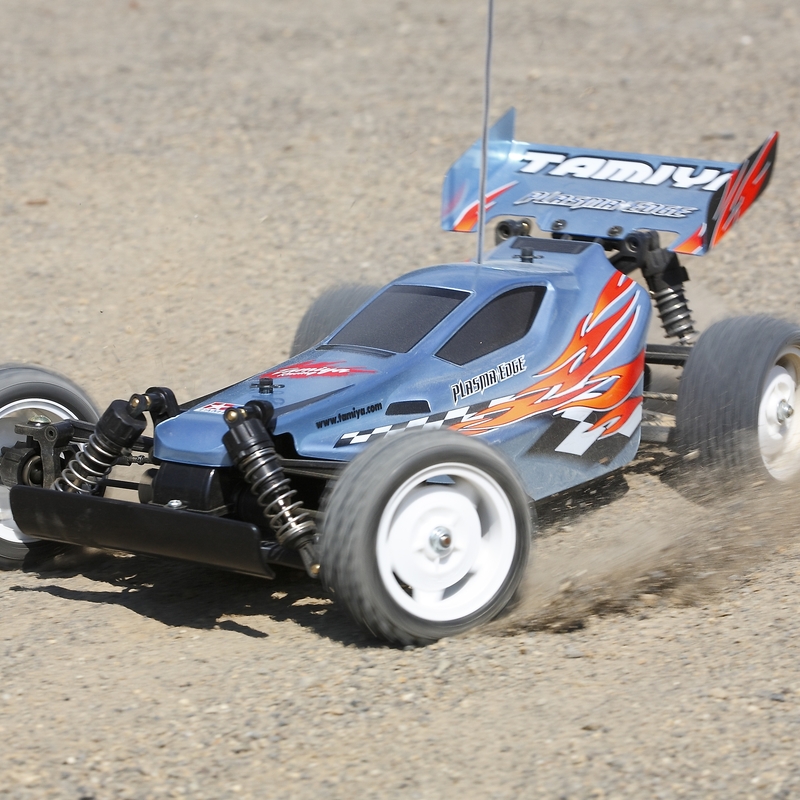 The chassis also features a wide bathtub design that easily accommodates battery and all R/C mechanism. The gearbox is fully sealed keeping dirt and stones out for easy maintenance and long-lasting performance. 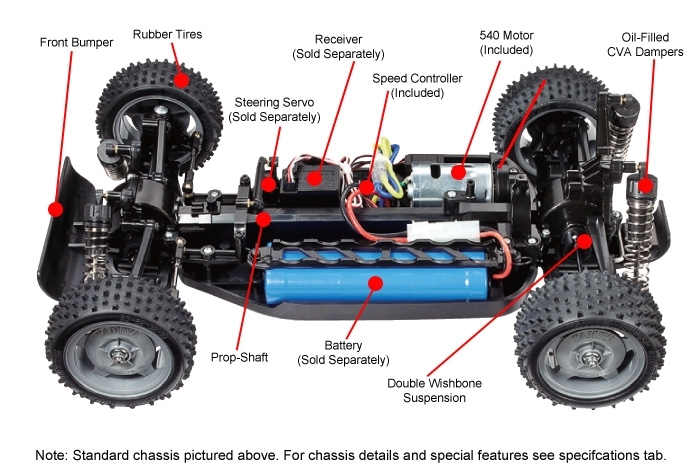 Special Feature 2 Longitudinally mounted motor and battery layout. 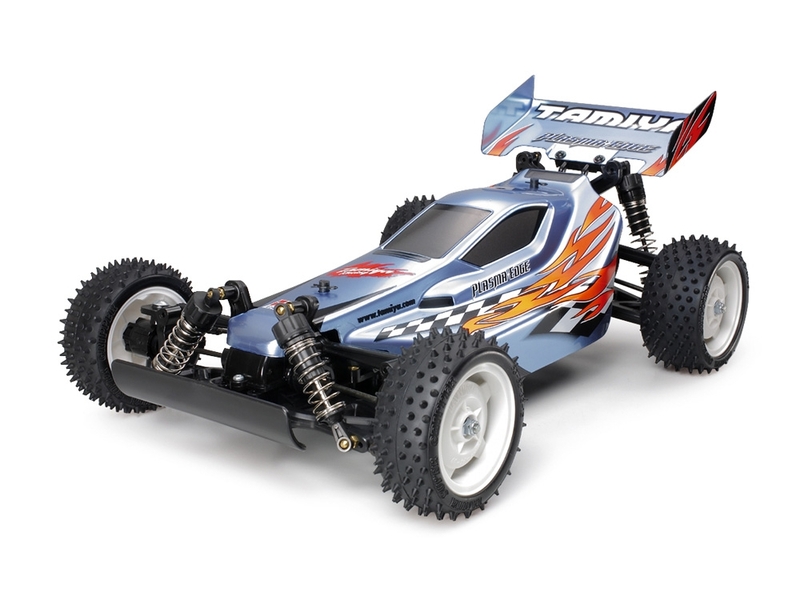 Special Feature 3 Low center of gravity, wide bathtub chassis and wide tread provides extra stability and superb handling. Special Feature 4 Semi-bearing drive train using 8 ball bearings for reduced friction leading to extra speed. Special Feature 5 Steering linkage uses turn-buckle shaft for easy toe adjustment.